I oversee the undergraduate staff, help maintain the equipment, assist classes with the tools, and I assist Jesse with his mountain of day to day tasks, including the website. We’ll have a new project demonstration and tutorial page up soon. I worked with COSMOS over the summer teaching the music technology cluster in EnVision. That was my first exposure to the space. I had been looking for a place like that since I started my PhD at UC San Diego. I started volunteering the following quarter. I want to go into academia. I really like the atmosphere – being around a group of people on the cutting-edge of research. Do you feel like your time at EnVision fits into that? Oh absolutely. I like that it’s geared towards prototyping. I myself do a lot with hardware design. What is your dissertation on? Audio processing on mobile robotic networks - I'm researching various methods and applications for processing audio on groups of robots. These robots communicate with each other via wireless networks that I have built. The audio processing takes place on small computers or microcontrollers including the Raspberry Pi, Beaglebone Black, and a board that I designed and fabricated. The applications that I have focused on are musical performance, sound-source localization, dynamic audio spatialization, and positional determination. The network also has various functions, such as streaming audio, spatial mapping, group learning, and cooperative performance. I'm currently in my fifth year of the PhD program, and am planning to graduate in the spring of 2018. I work primarily with Miller Puckette (music) and Mauricio de Oliveira (mechanical engineering). I also play music (guitar, drums, piano, bass), work as an audio engineer, build quirky electronic instruments, and do a lot of woodworking. You can see some of Colin’s projects here. A University of California San Diego alumnus in computer science, Ross Tate (Ph.D. ’12), is one of two professors selected to receive the Dahl-Nygaard Prizes for 2017. The prizes are awarded annually by the Association Internationale pour les Technologies Objets (AITO). The late Ole-Johan Dahl and Kristen Nygaard did foundational work on object-oriented programming, particularly with the Simula language – widely considered one of the most important inventions in software engineering. Both Dahl and Nygaard died in 2002. 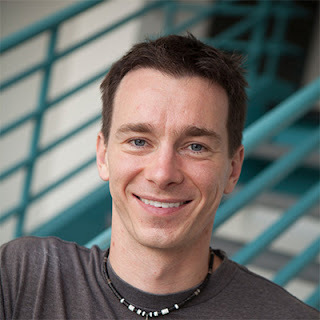 Then-Ph.D. student Tate did his dissertation at UC San Diego under computer science professor Sorin Lerner on “Equality Saturation: Using Equational Reasoning to Optimize Imperative Functions”. After completing his Ph.D. in 2012, Tate immediately joined the Cornell faculty and continued his research on wildcards and type systems. According to AITO, he later proposed that “F-bounded polymorphism can be replaced by simpler concepts that were sufficient for the use that programmers made of generics in a large corpus” (as outlined by Tate and co-authors in a paper presented at PLDI 2014).